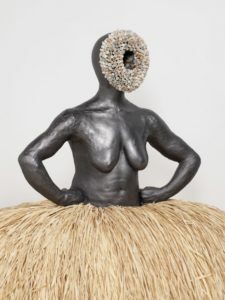 Luhring Augustine is pleased to present recent sculptures and a new video work by Simone Leigh, marking her first solo exhibition with the gallery. 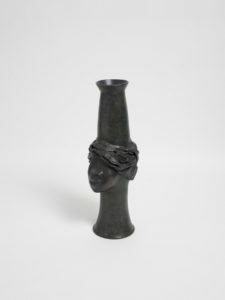 Leigh’s practice is an object-based exploration of vernacular visual traditions from throughout the black diaspora and their intersection with constructions of black female subjectivity, black feminist discourse, histories of radical resistance, and ethnographic research. 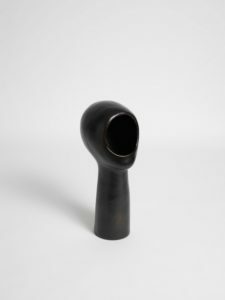 Through her principal medium of ceramics, she relates quotidian objects to bodies, and labor to performance, exploring tropes of beauty, utility, agency, desire, and possession. 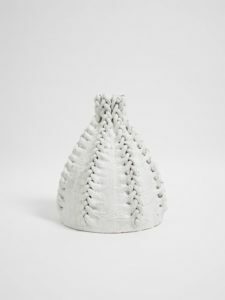 The exhibition features a new body of sculptural work that departs from and continues the exploration of her earlier series: Anatomy of Architecture. 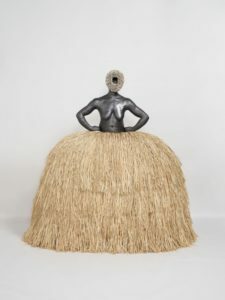 In these works she draws upon disparate, seemingly anachronistic histories of ancient Roman-Egyptian and more recent American vernacular art and architecture, with a focus on the anthropomorphic features of objects and their relationship to specific functions. 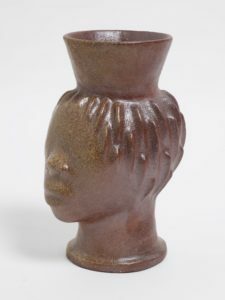 From a 200 BC bronze “Vase and lid in the form of a Nubian boy”, to face jugs produced by enslaved African American potters in South Carolina, and to Mammy’s Cupboard – a Mississippi café housed in the figure of a woman’s skirt, Leigh’s new ceramic sculptures parse how these objects emblematize and problematize space in regard to the body, fusing and implicating the human form with architecture.